What is it that makes us do what we do? What drives us to wake up, go to work, come home and do it all over again? These habits can be our saving grace or our worst enemy. This goes for habits in life, business or most importantly, our health. In fact, a study published by Duke University found that more than 40 percent of the actions we perform are not based off of actual decisions, but our automatic habits. Once we realize what it is exactly that is triggering these habits is when we can begin to change. The Power of Habit explains that there is a three-step loop that occurs when a habit is formed. First, there is a cue. A cue is a trigger that tells your brain which habit to use. After the cue comes routine, which is either physical, mental or emotional. The final step is a reward, which tells the brain how valuable this loop is and if it’s worth remembering for the future. Over time, this loop becomes more and more automatic until cravings begin to emerge. 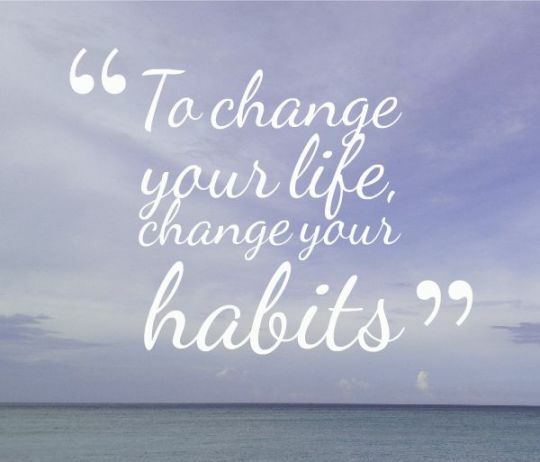 While habits seem to be associated with only negative outcomes, we are all capable of creating good habits as well. For instance, you may start to crave the sweet reward of the doughnuts from the local coffee shop on your drive home from work. However, once you recognize this pattern and why it occurs is when you can change. Replacing this stop at the doughnut shop with a stop to the gym across the street may seem like it requires more effort at first, but only because it’s not automatic. Once you break this loop and create a new one of stopping at the gym instead, a new habit is formed. What once seemed like unreachable willpower now becomes an automatic habit. What better time to start breaking down old habits and building up new ones than that of the new year? For those individuals looking to change their habits and reach optimal health, EatingPrimal is the perfect place to start. While a meal delivery service has a multitude of benefits, the biggest factor is the convenience it provides. EatingPrimal automatically rids you of any unwanted habits of picking up unhealthy foods at the store, snacking on high-reward foods or even adding too many ingredients to your food while cooking due to old habits. With your new goals for the new year in mind, think of what you want to accomplish, but more importantly how you will accomplish it. What are the small habits you’ll create in order to reach your ultimate goal and optimal health? Remember Charles Duhigg and his guide to creating a new habit – create a cute that will trigger a certain reward and from there determine how to make that cue and reward an automatic routine.